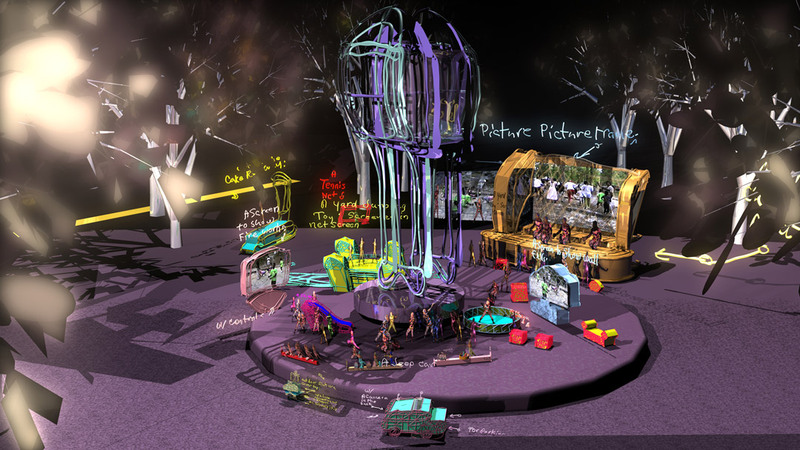 In 2013 SAM acquired a video work by contemporary artist Jacolby Satterwhite that would later feature in the SAM-organized exhibition Disguise: Masks and Global African Art (an iteration of which has just opened at the Brooklyn Museum to wide recognition). Though Disguise was still in the planning stages, Satterwhite’s video, called Country Ball 1989-2012, had so much eclectic visual interest, and it was displayed with such a distinctly digital vision, that it was chosen early on as a representative piece for the Seattle show. Using the whole computer-generated landscape and the various vignettes that appear throughout the video, the artist brings together different modes of communication to create a new way of expressing that is distinctly his. Dance comes to the fore as a versatile language with meaning in a range of contexts. As the artist narrates, the genus of the work lies in a Mother’s Day cookout in the park (by the way, thank you to all the moms! ), enlivened by choreographed dance. The artist himself performs dance in eccentric dress to add his own movement and personality to the work. Even the viewer’s perspective seems to dance as it meanders through this dynamic virtual landscape. Re-presenting a home video and introducing the artist’s original dance performance, and itself being a museum-owned artwork, Country Ball 1989-2012 illustrates what a wide spectrum of contexts and environments feature dance as an act of importance and value. 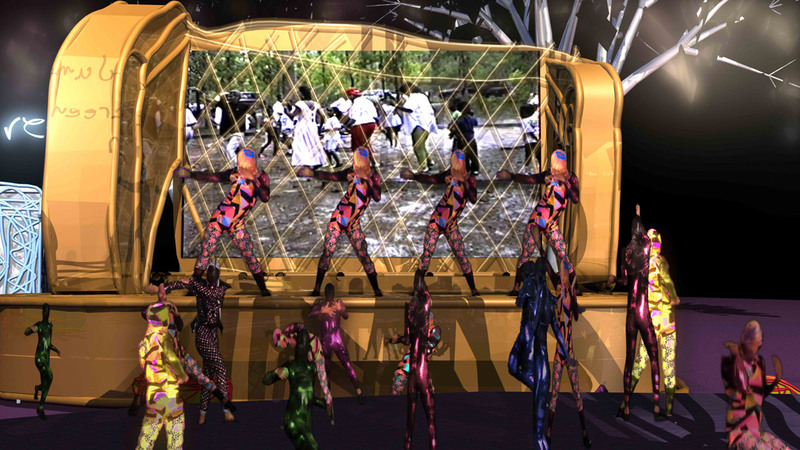 IMAGES: Country Ball 1989-2012, 2012, Jacolby Satterwhite, HD digital video with color 3D animation and sound, running time 12:39 mins., Seattle Art Museum, Modern Art Acquisition Fund, 2013.3, © Jacolby Satterwhite.